I hope everyone had a terrific Labor Day weekend and that everyone who is a kid or has kids is off to a great start for the new school year! and a small pack of Susanna’s Fabulously Fun Story Sparker Cards! Tina is an author of 21 guided reading books from Lakeshore Learning and Compass Media, 2 contracted nonfiction books for girls with Legacy Kids Press, and even has a coloring book coming out in 2013 with Warner Press. She is a former elementary teacher who currently homeschools her 5th grade daughter and 2nd grade son. Though she grew up in Iowa, she is now living outside of Seoul, South Korea. She is participating in Julie Hedlund’s 12×12 in 2012 picture book challenge. The Pitch: Melody has a song in her heart until she discovers her best friend has a piano of her own. When the neighbor’s piano is put up for sale, Melody wants to buy it, but her family can’t afford it. She is determined to raise money using her somewhat wonderful singing skills, even participating in a talent show. Please send YOUR pitches for the coming weeks! For rules and where to submit, click on this link Would You Read It or on the Would You Read It tab in the bar above. There are openings in October, which is not very far away! 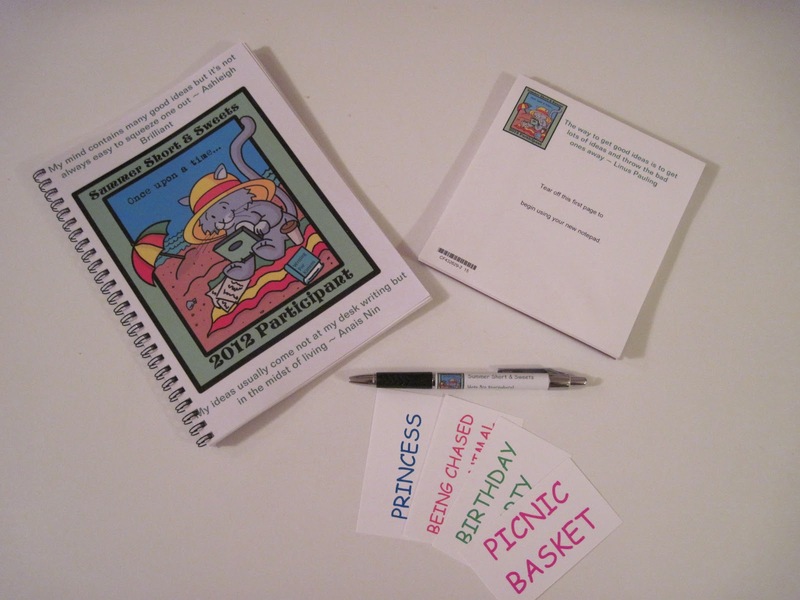 Sweet prizes for the summer writing exercises, Susanna! Tina, I don't necessarily have a problem with Melody's jealousy of her friend's piano stealing her joy in music. Kids (and adults) can covet what others have and if it isn't a heavy handed theme it could open up some lovely discussions with a parent and child or in a classroom. It's also full of possibilities for an illustrator! The last sentence falls a bit flat. Perhaps you could have a different example of how she attempts to raise money or make it clear why participating in the talent show is an exceptional event for Melody? Her “somewhat wonderful singing skills” is a great humorous image, very strong. I would read it and good luck with your story! Glad you like the prizes and the pitch, Erik! Cool! Thanks, Tracy! That is all very interesting and helpful info! Janice Hardy's post http://blog.janicehardy.com/2011/10/heres-pitchits-hit-crafting- your-novels.html says that a pitch is spoken and a hook is written. Here are two examples from his book. Thanks so much for your thoughtful rewording for Tina, Delores! Thanks, Heather, for your helpful comments as an illustrator! Thanks so much, Erik! Glad u liked it! Same opinion on the last line here. But I would pick it up because I am sucker for creativity, as in the MCs name! I've got my chocolate though: fresh hand made 'macarons' were B2G1free at the local French bakery, but I am waiting for family members to share after dinner – coconut, salted-caramel, and dark chocolate!